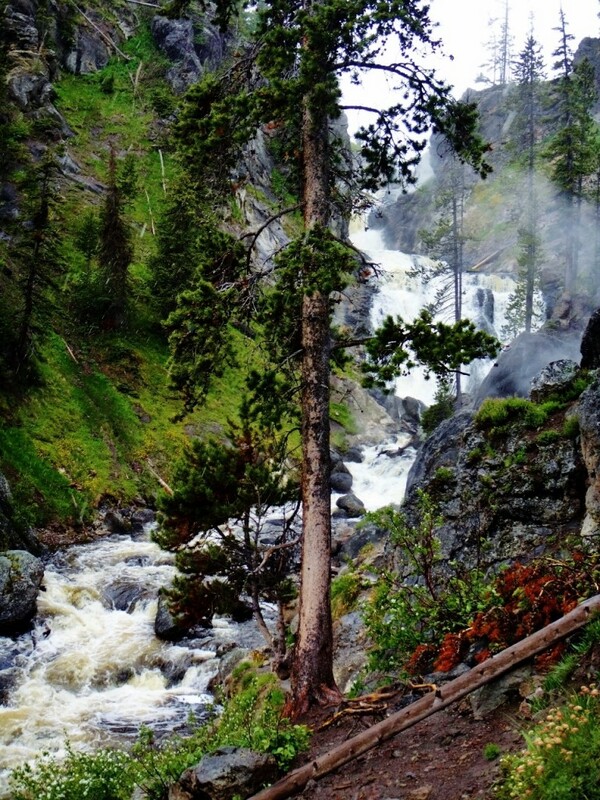 Yellowstone is a waterfall-lovers dream. There are countless waterfalls throughout the park ranging from roaring 300 foot falls to peaceful cascading falls, some viewable just off the road and others requiring a bit of a hike. 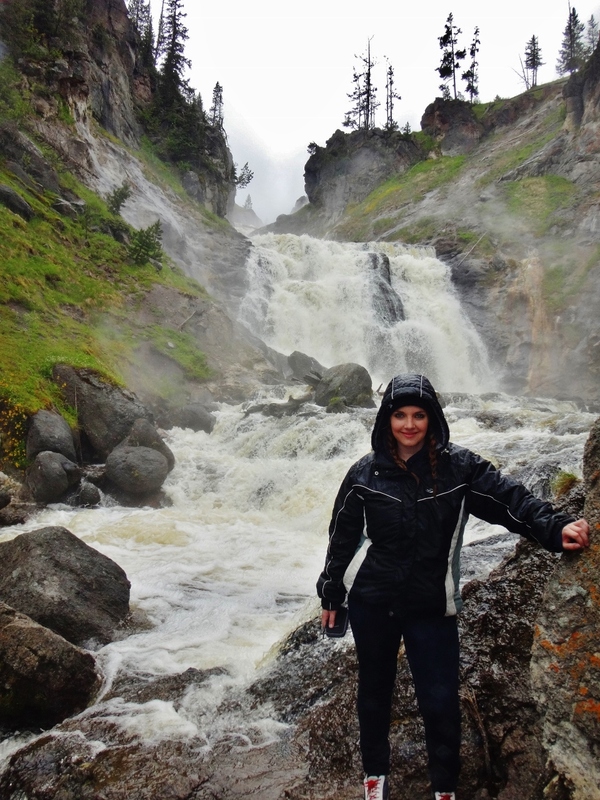 I particularly admire waterfalls, so I was in heaven during my trip to Yellowstone. I visited the park in the early summer with my husband, brother and two friends. 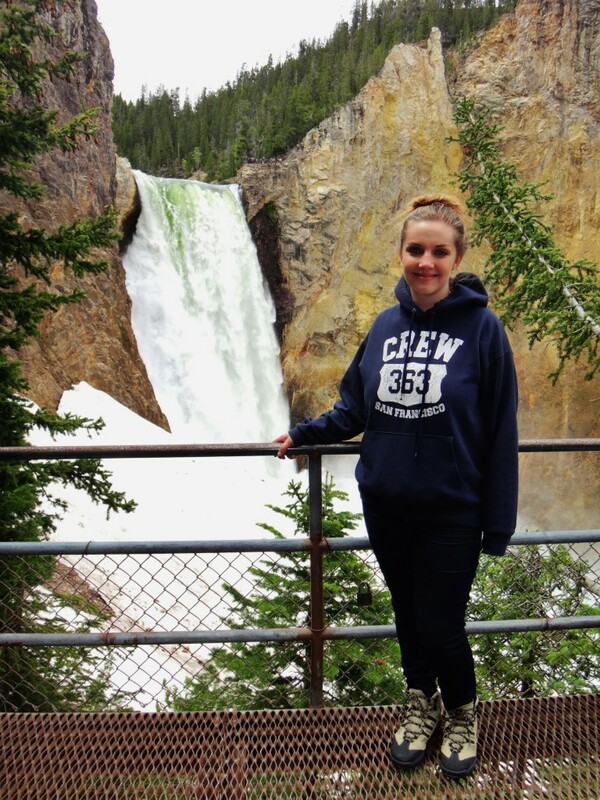 It was quite an adventure exploring the countless waterfalls of Yellowstone. 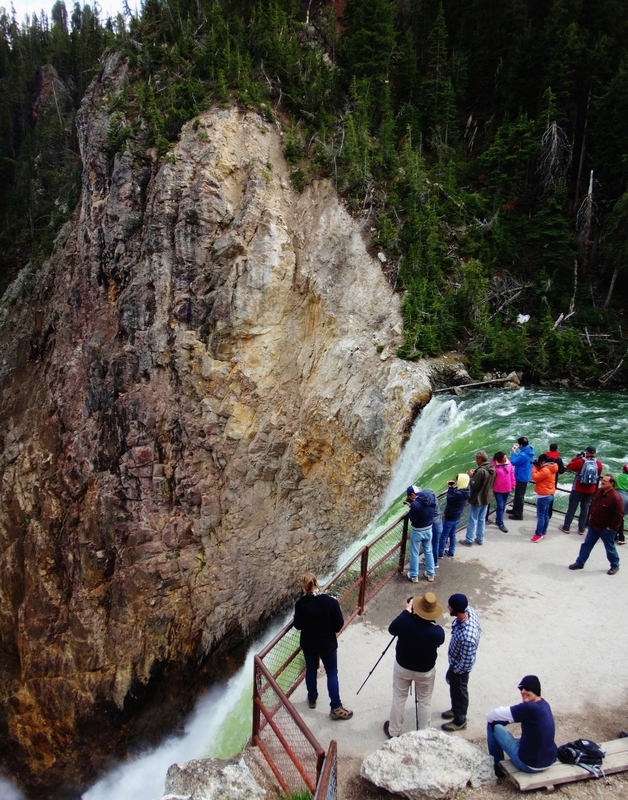 You can see the Lower Falls from many different vantage points on both sides of the canyon rim. One of my favorite views was from the base of Uncle Tom’s Trail. 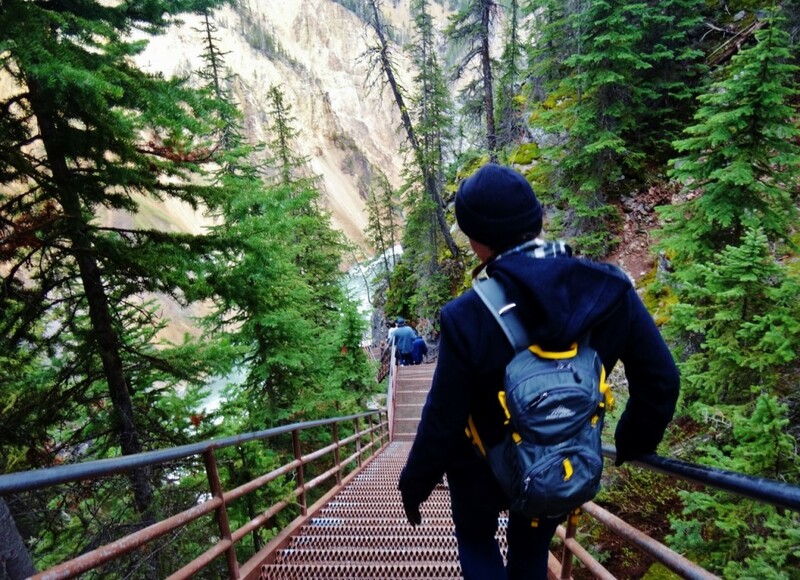 This is a short hike but really unique – a steep walk down a steel staircase that is secured to the side of a canyon took us to the base of the Lower Falls. The stairs were originally built out of wood in 1898 and later replaced with steel in the 1930s. 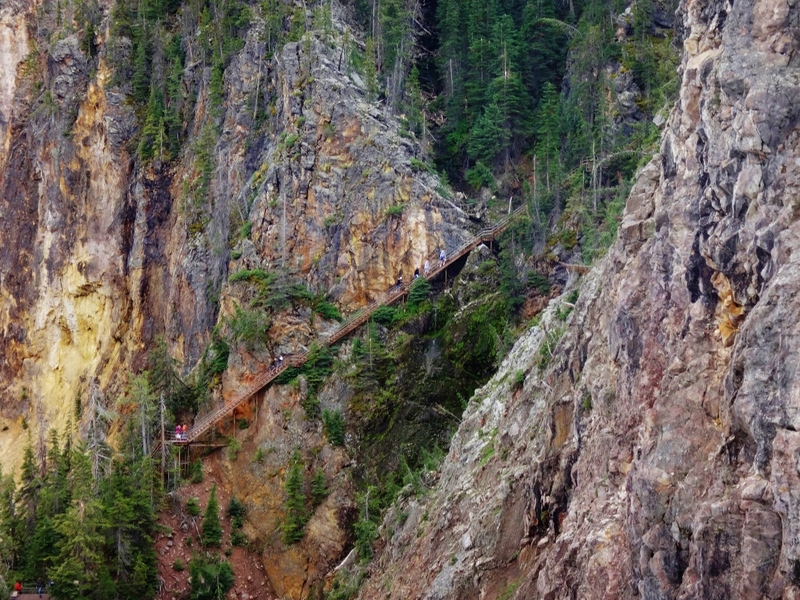 After descending about 500 feet down into the canyon we reached the final platform. 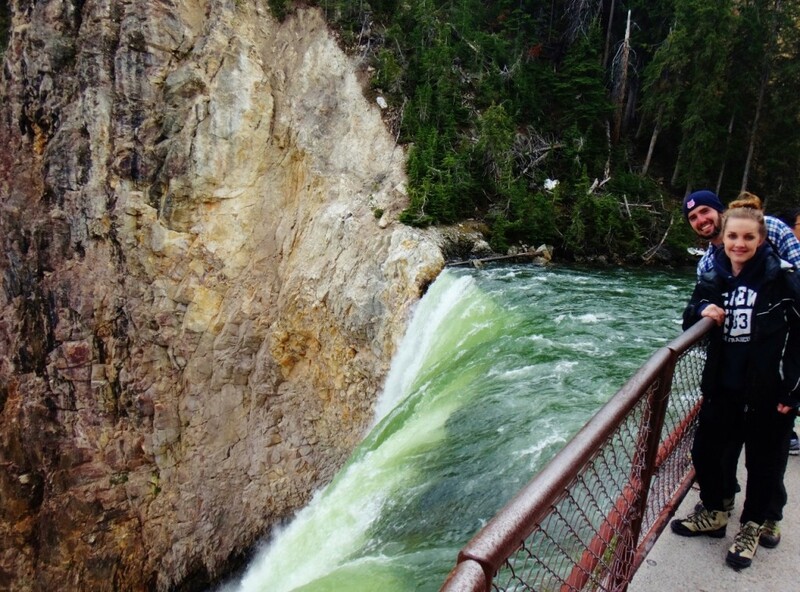 The views of the waterfall across the canyon were spectacular. 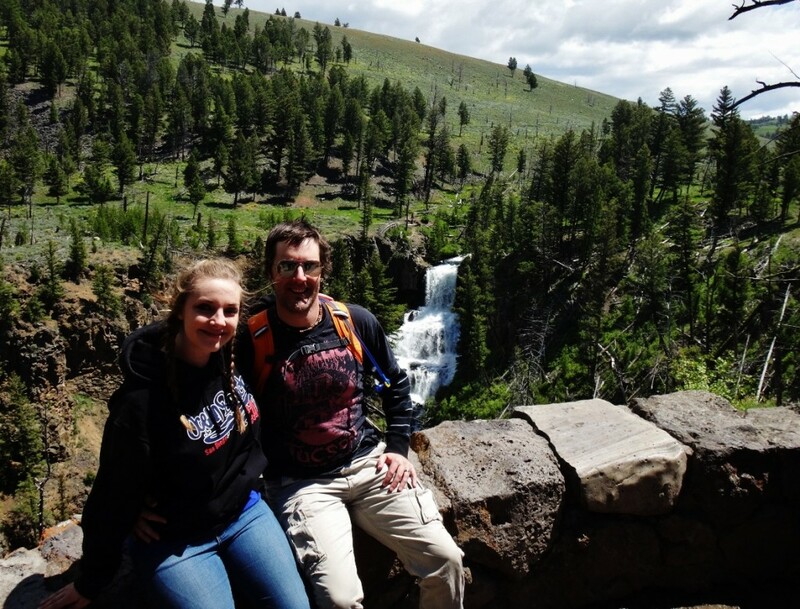 TRAVEL REVIEW: Uncle Tom’s Trail Trip Highlight! We spent as long as we could on the small platform soaking in the scenery until it got too crowded and we were forced up. 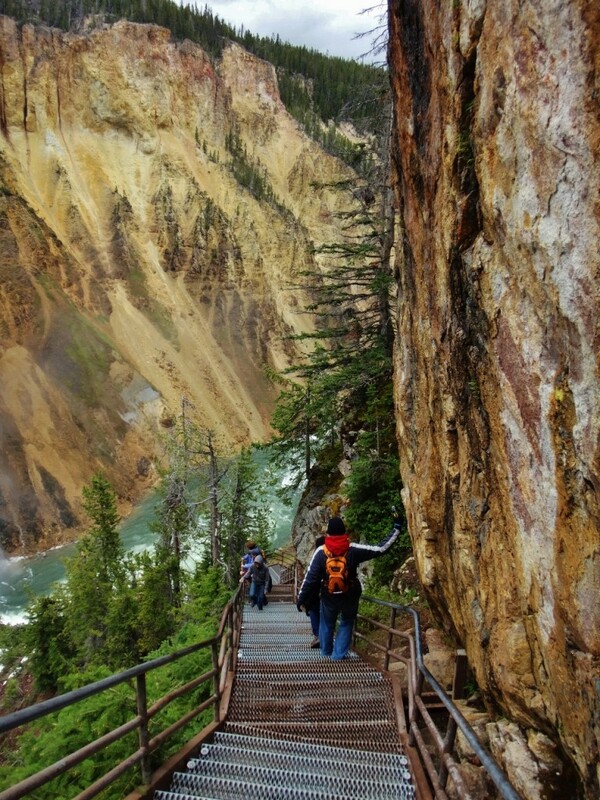 The “up” part was the drawback to this hike – 328 stair steps back up the canyon wall. We took a slow and steady pace. From the viewing platform at the base of the Lower Falls, I had seen some people on what looked like a platform at the very top of the waterfall on the opposite side of the canyon. I had to check it out – we all piled back into the car to try and find this lookout point. We drove around for a while, but eventually arrived at the Brink of the Lower Falls. After just a short walk from the parking lot we were standing directly on top of the Lower Falls. 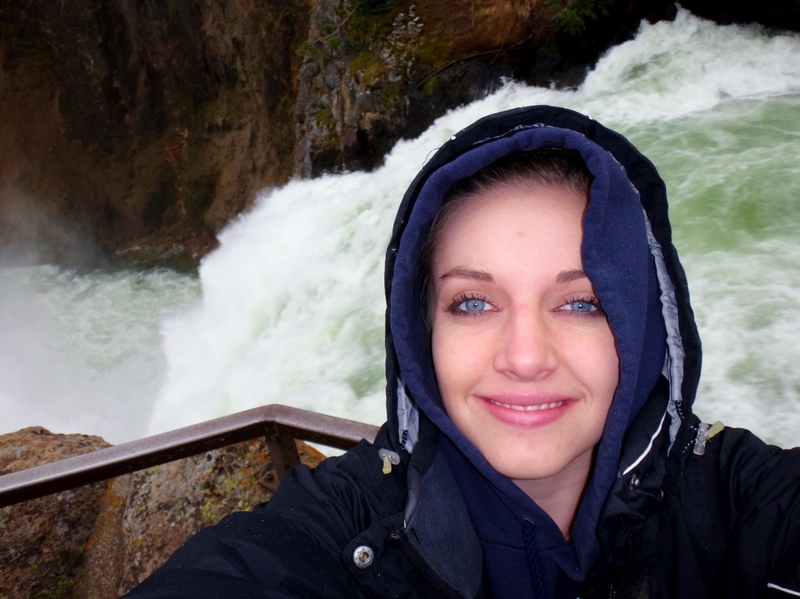 I could not only see the waterfall just a few feet in front of me, but I could hear and feel the power of the water pouring over the cliff. I had never seen that volume of moving water before and it was memorizing to watch. 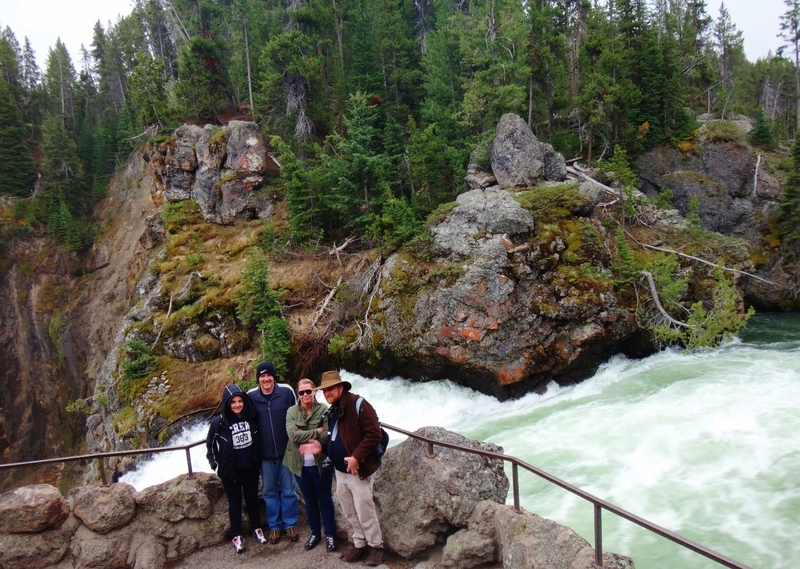 TRAVEL REVIEW: Brink of Lower Falls Trip Highlight! The Upper Falls was another noteworthy waterfall that we saw, although it is often outshined by the Lower Falls which is just a bit further downstream. 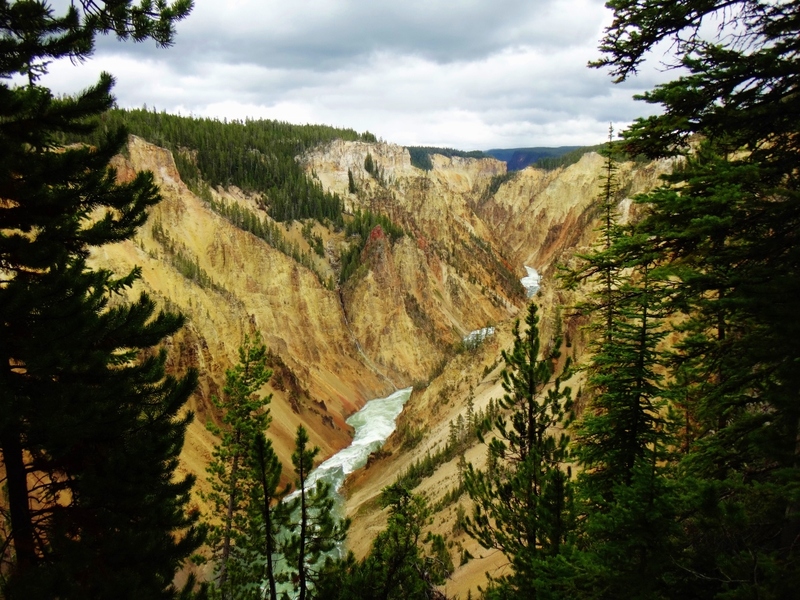 The Upper Falls is only one-third of the height of the Lower Falls and doesn’t plunge down into the depths of the Grand Canyon of Yellowstone. 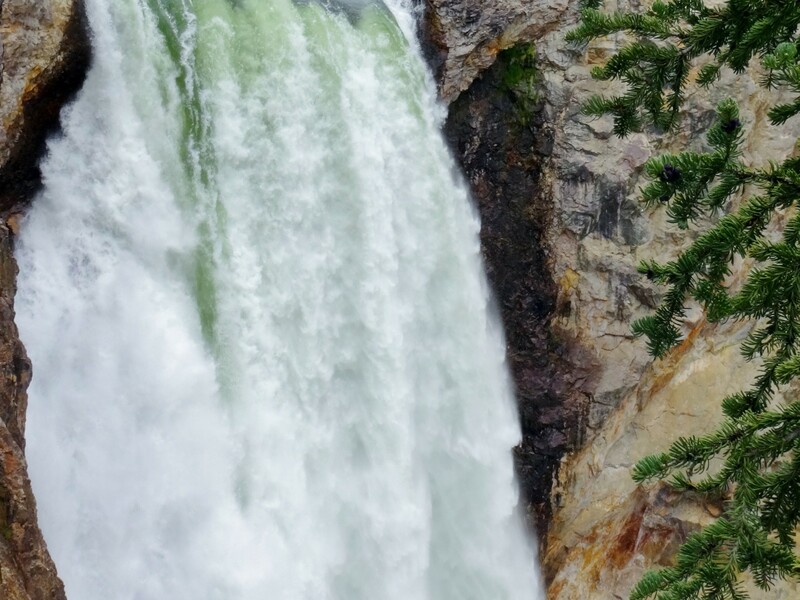 However, the view from the Brink of the Upper Falls still revealed a strong sense of beauty and grandeur as I peered over the edge that dropped 109 feet. 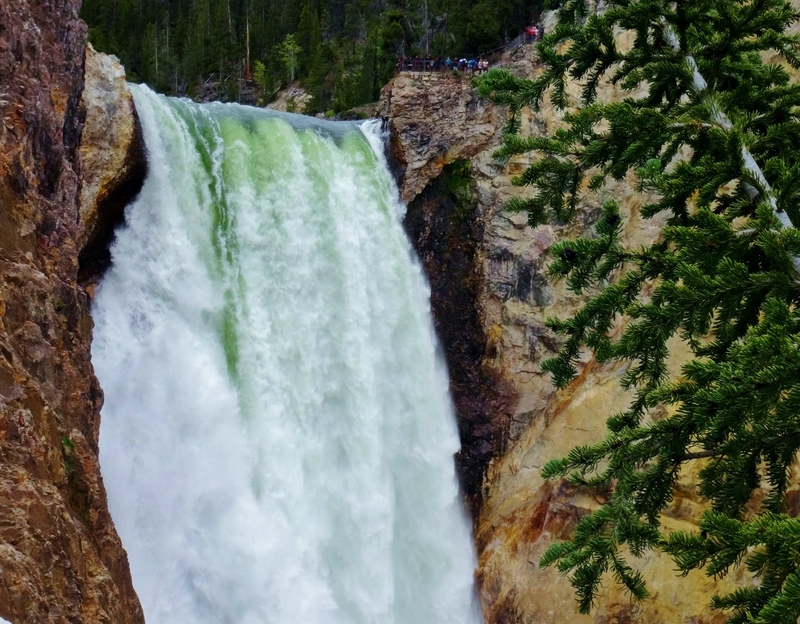 TRAVEL REVIEW: Upper Falls Must Do! Kepler Cascades is a worth a quick stop and is easily accessible from a viewing platform just a few steps away from the main road. I enjoyed listening to the trickling water as it poured 50 feet over a 3-tired cascading drop. 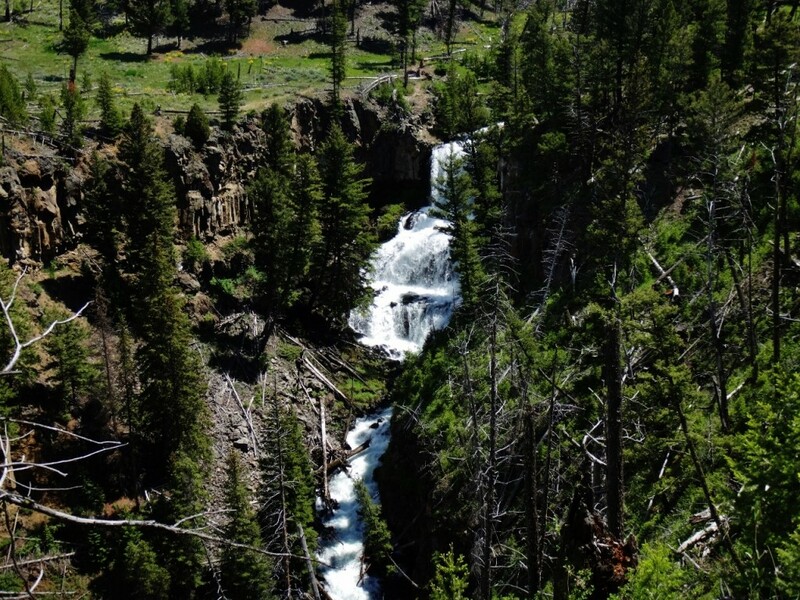 Just a short drive from the famed Old Faithful Geyser is a secret gem – Mystic Falls. 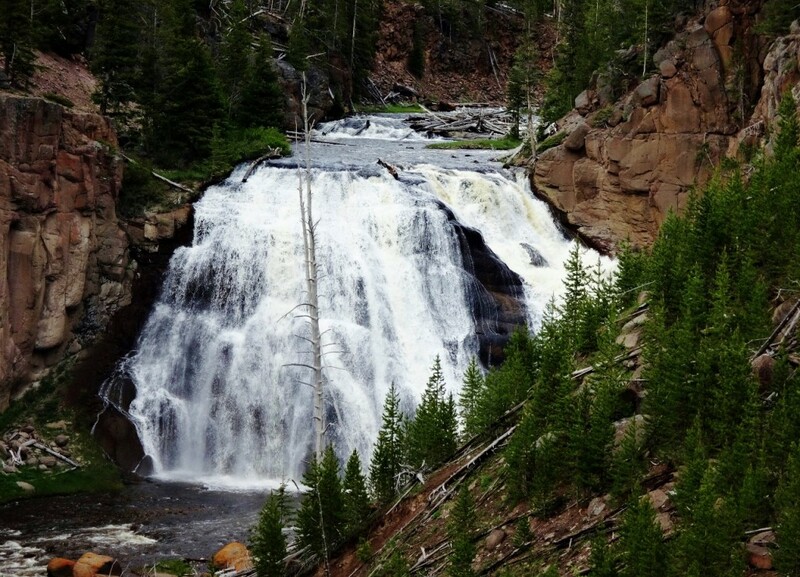 If you are looking to get off the beaten path, a visit to Mystic Falls is just for you. The trail to Mystic Falls winds through the forest and comes to fork pretty quickly. We took the route to the right which is the shorter path to the waterfall (about 2.5 miles round trip). After a little while we arrived at the 70 foot Mystic Falls. There were plenty of places to climb around for different vantage points. I made my way down to the base of the falls and as I placed my hand down on a rock to balance myself, I was surprised by the warm water running down the side. 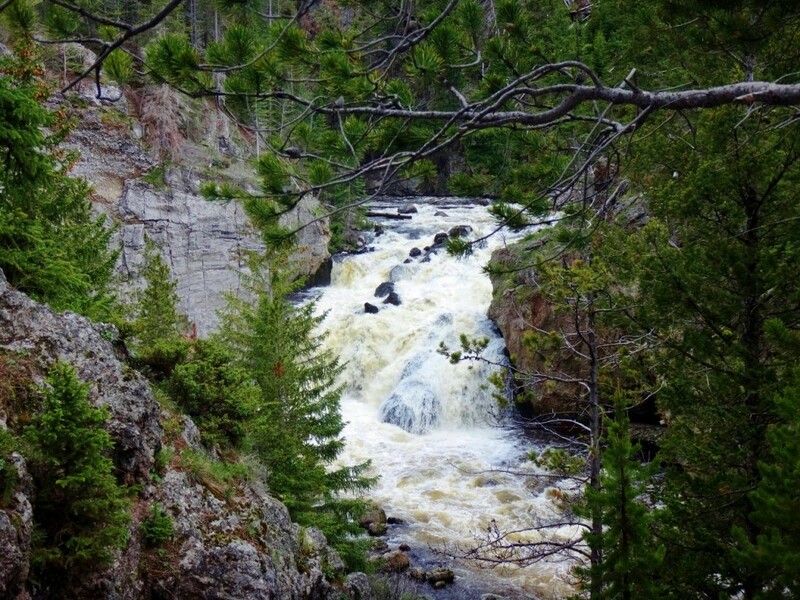 I began looking around more closely and noticed steam rising from the rocks near the river’s edge. There were countless hot water runoffs entering the river and releasing steam, giving the area a very “mystic” appearance. TRAVEL REVIEW: Mystic Falls Must Do! 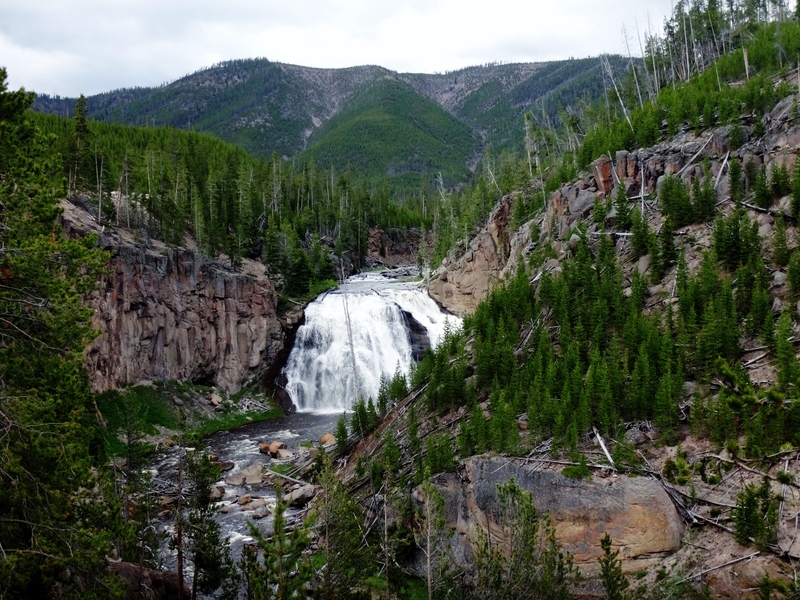 Undine Falls is located at the north end of Yellowstone and was a quick stop on for us on our way to Mammoth Hot Springs. Undine Falls received its name from mythological human-like water spirits who lived near forest waterfalls and possessed the power to acquire souls by marrying mortal men. After the many waterfalls I had seen in just a few days during my trip, I was least impressed by this waterfall which was only viewable from a far distance. 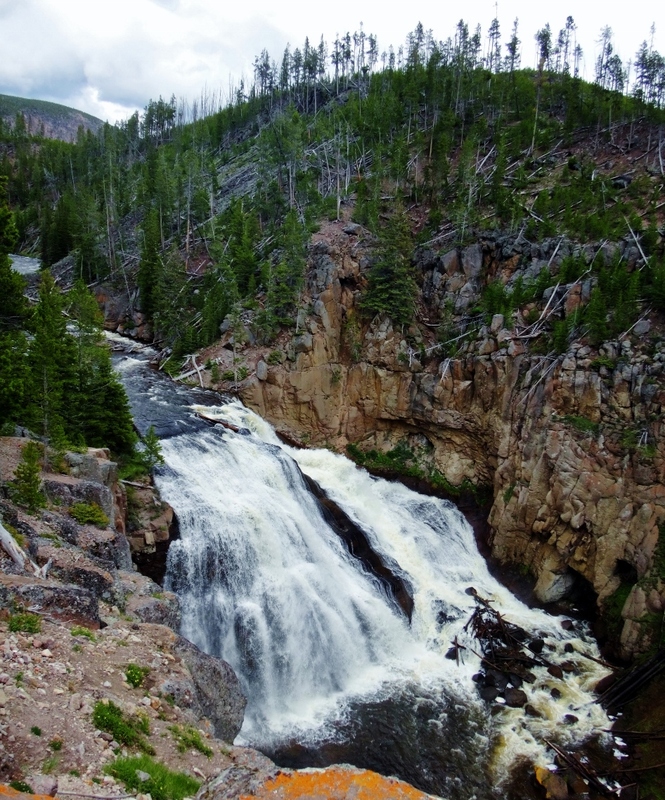 Another roadside waterfall, Gibbon Falls is easily viewable from a small parking lot along the road. Water seemed to flow along the rocks like ribbon and it was easy to become entranced by the never ending flow of water. 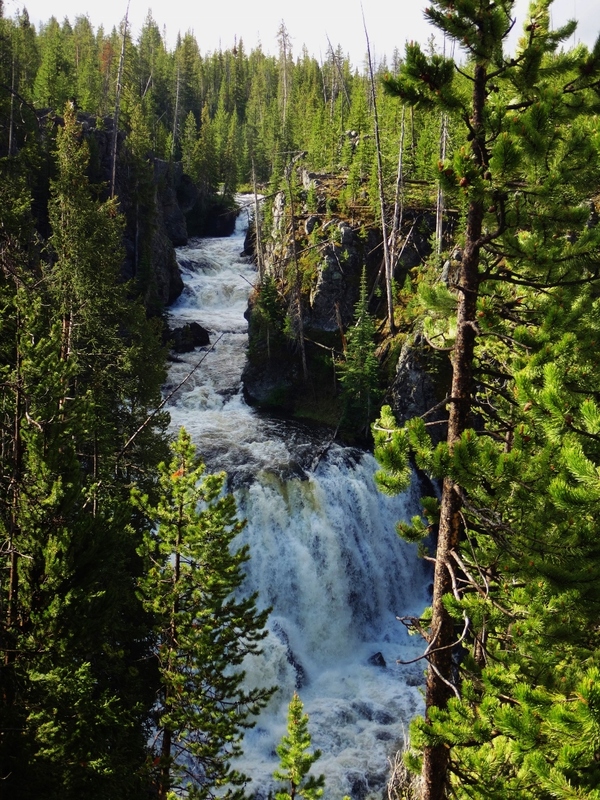 Yellowstone has one of the highest number of waterfalls for its area, making it easy to see an abundance of falls just from the road! 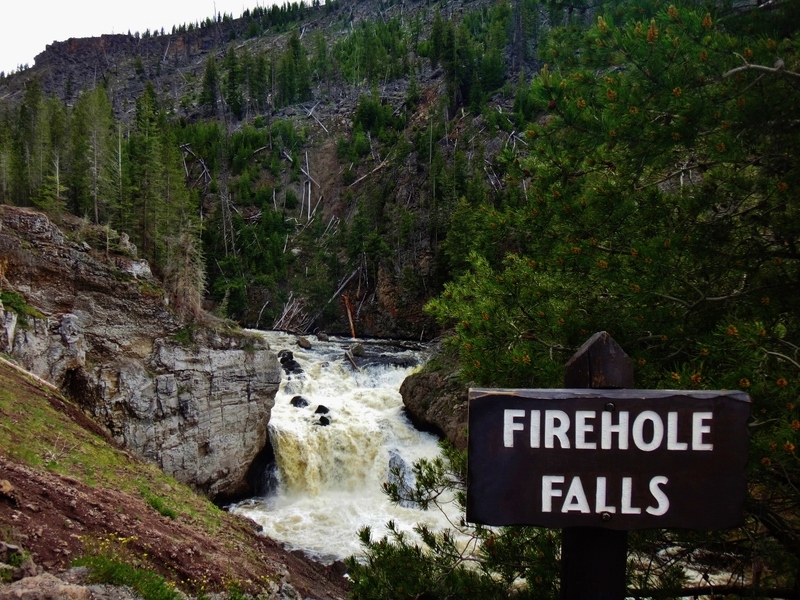 Firehole Falls is another roadside waterfall, but what makes this one unique is the one-way drive to get there. We took the Firehole Canyon Road off of the Grand Loop near the West Entrance. The drive was scenic and a small parking lot near the waterfall gave us a chance to wander around and stretch our legs.